Omega Milan Pryor knows his duty. He must travel North through the continent towards the snow, the cold, and his new betrothed. They say that Lord Alpha Raphael Ledford, the man he is to marry, is as arctic as the weather of his land. But Milan has always been an optimist. Perhaps he might find friendship in the arranged marriage. Even love. I picked Honeythorn although I’m not an assiduous reader of non shifter Omegaverse stories, nothing against the trope, on the contrary. I read the previous novel the author released on January, Rat Park, and deeply loved it, so I wanted to give this new title a chance, with some reservation. I have to say it was a surprise how much I enjoyed Honeythorn, the story was well done, easy to follow, nothing too complicate or strong in the plot. Still there were some hard times for these characters to overcome, some misunderstandings to solve and an ex to fight off. At the end it was a light reading, quite sweet. I found the dynamics between Milan and Raphael interesting, most of all I was in awe with Milan, how brave he was to move to another country, so different from his, to marry a stranger and then when he discovered in this stranger a cold and cruel human, Milan was still strong enough to fight for his marriage and his life. Nothing is as it seems and things developed so great I learnt to love both MCs and their new life together. Honeythorn is surely a different novel, there were some elements that recalled the steampunk and recency settings that I appreciated so much. It’s not for everyone, if you are not a fan of the Alpha-Omega dynamics. That said I truly hope the author will decide to write more stories like this one. The cover art by Natasha Snow is incredibly beautiful! I find it one of the best I saw so far this year. 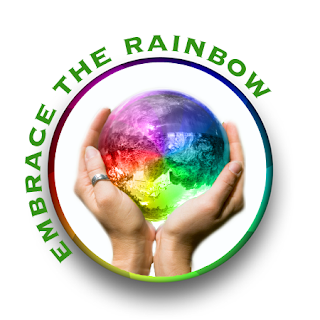 The colors, the font and then how much it’s fitting, simply astounding. This entry was posted in Book Reviews, Books, eBooks, LGBTQ Book Reviews, M/M Book Reviews, M/M Fiction, M/M Romance and tagged #omegaverse, A Stella Review : Honeythorn by Marina Vivancos, author Marina Vivancos, Honeythorn by Marina Vivancos, Non-shifter Omegaverse. This entry was posted in Book Giveaways, Book Reviews, Book Tours and Contests, Books, eBooks, Historical, LGBTQ Book Reviews, M/M Book Reviews, M/M Fiction and tagged #omegaverse, @MarinaVivancosx #bookrelease #Honeythorn #giveaway, @SignalBoostPR, alpha omega non shifter story, author Marina Vivancos, Honeythorn by Marina Vivancos. Join Us for the New Release Blitz and Giveaway for Honeythorn by Marina Vivancos! Out Now! 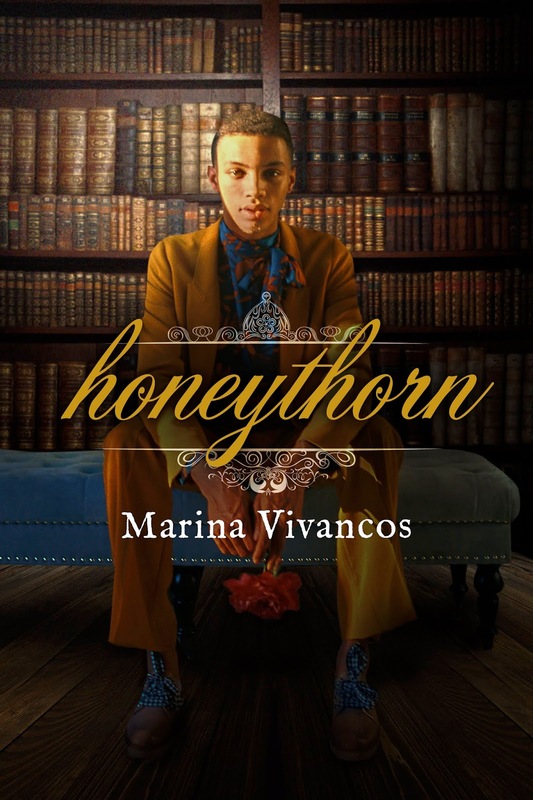 This entry was posted in Book Giveaways, Book Reviews, Book Tours and Contests, Books, eBooks, LGBTQ Book Reviews, M/M Book Reviews, M/M Fiction, M/M Romance, Uncategorized and tagged #omegaverse, @MarinaVivancosx #newbookreleasel #Honeythorn #giveaway, @SignalBoostPR, alpha omega non shifter story, author Marina Vivancos, Honeythorn by Marina Vivancos, Signal Boost Promotions. Thomas escaped his ex and has settled in at Pine Wood Falls. He found himself a nice job, has a cute little house, and his twins are now four months old. The last thing he wants or expects is to go into heat again so soon. He tries to fight the urge but can’t hold off any longer. Campbell catches the scent of his fated omega. He finally found the one and can’t wait to start a family. So he goes to one of Pine Wood Falls get togethers to do what nature wants of him, what he wants to mate with his fated one, but the situation gets turned on its head when there’s another alpha there that wants his omega. This was another great story by this author. I had wanted to see Thomas find his happiness after everything he went through in the first book. Thomas just wants to be happy and live a nice quiet life with his babies but his heat throws a wrench is his current plans. Campbell won’t let anything get in his way of living his life with his mate, even the reality of another alpha in the mix doesn’t even seem to faze him. Though Griffin tries to stay away, he quickly accepts those who fate gives him. I liked that I got to see the points of view for all of these guys, it went a long way towards keeping track of what was going on and what they were thinking. Thomas doesn’t really take as much convincing as he tries to make it seem, but there aren’t many reasons to since the alphas are so wonderful. I had trouble with Griffin saying he has been fated before, when he described the “relationship” it didn’t really sound much more than him finding an omega in heat. I felt for Campbell and how lonely his life had been, though he did have someone who loved him, but he is getting way more very quickly. My only gripe with the story was that the issue of Thomas’s former “pack” wanting to force him back. It was only brought up like three times and quickly resolved without any real problems. It just felt like it was added to bring some angst to the story but I didn’t feel that is succeeded. This is another great cover art by Melissa Liban, it’s adorable and gives some great little visuals. This entry was posted in Book Reviews, Books, Contemporary fiction, eBooks, LGBTQ Book Reviews, M/M Book Reviews, M/M Fiction, M/M Romance and tagged #omegaverse, Alpha Omega verse, An Extra Alpha (Pine Wood Falls #2) by Sarah Havan, author Sarah Havan, mpreg, Omega Alpha nonshifter universe, Pine Woods Falls series by Sarah Havan. This entry was posted in Book Reviews, Books, eBooks, LGBTQ Book Reviews, M/M Book Reviews, M/M Contemporary Fiction, M/M Fiction, M/M Romance, Uncategorized and tagged #newbookrelease #AnExtraAlpha, #omegaverse, @gaybookpromo, @SarahHavan, An Extra Alpha (Pine Wood Falls #2) by Sarah Havan, An Mpreg Romance, author Sarah Havan. Saddled with debt and a crippling self-esteem, Professor Ian McMillan has struggled for decades with his demons. But that isn’t his biggest secret–seven years ago, he spent his heat with an alpha he shouldn’t have… his student. Nothing should’ve come out of it. Except Ian conceived, and his baby’s father… is also the department head’s son. Under the threat of losing his job, Ian made a choice: keep his child, and sever all contact with Brad. With no inkling of the baby he left, Brad Saxon graduated from college and joined the Meadowfall fire department, making mistakes along the way. Lives have been lost at his hands, and the guilt he carries is suffocating. How can he protect an omega, when he’s failed others before? But Brad can’t forget about the omega from years ago–Ian, with his soft smiles and yearning eyes. When Brad enrolls in a Master’s course hoping to see his professor again, he finds something he doesn’t expect: Ian’s in heat. This time, there’s a child with him… a little girl with Brad’s eyes. When Brad reaches out and Ian conceives again, the embers between them kindle back to life. Brad makes the decision to stay. As the sparks between them grow, will Ian and Brad heal each other, or will their pasts come to tear them apart? This was another great book in this series. Ian has been running himself ragged keeping up with his job and taking care of his daughter and her health problems. Brad has never moved on from the one older Omega from years earlier and when he finds him again he finds even more reasons to stay. Both of these guys have crappy family lives. Brad’s dad is a jerk and is the one who kept these two apart and pushes them apart again. Ian’s mom essentially hated him while doting on his brothers, I just has trouble understanding how they and his dad allowed him to be treated that way though it doesn’t seem he has any relationship with any of them. I felt for both of them and neither seemed to really have any support, a friend or two but nothing to keep them going. I loved Gwen and how dedicated they are to her. I loved watching Brad work hard to show Ian how wonderful he is. I love the cover art, how well it works for the story and the visuals of the characters. This entry was posted in Book Reviews, Books, eBooks, LGBTQ Book Reviews, M/M Book Reviews, M/M Fiction, M/M Romance, Uncategorized and tagged #omegaverse, A MPreg Romance, An Alisa Review: Omega Teacher’s Secret (Men of Meadowfall #5) by Anna Wineheart, author Anna Wineheart, Omega Alpha nonshifter universe, Omega Teacher’s Secret (Men of Meadowfall #5) by Anna Wineheart. Lorne Austen was relieved of his duties as omega and nanny on the day the alpha’s youngest children, twins, turned 15. He wasn’t even allowed to say goodbye—just booted out and sent on his way with his meager belongings. An omega’s life isn’t wonderful in this world and Lorne, though a sweetheart, is now 32 and past his prime, so his only hope is to find another job and make it on his own. Caught in a snowstorm, he’s found by Johnathan Owens, a doctor who is on personal leave after breaking off with his fiancé and taking care of his grandmother. The two ride out the storm in each other’s arms in bed, but Lorne disappears the next morning. His reasoning is that Johnathan is too sweet and he doesn’t want to possibly become attached. Imagine his surprise when six months later, he arrives at a medical clinic seeking nutrients to help him survive his unexpected pregnancy and he finds Dr. Owens—the father of his babies. The story of their relationship is somewhat complex, with the monkey wrench primarily thrown at Lorne by Johnathan’s ex-fiancé who is also a doctor. Unmated omegas aren’t allowed to keep their babies in this world and though it seems a simple solution, Johnathan hesitates to contract with Lorne—for other reasons, but of course, Lorne misunderstands. There’s lots of angst here. But there’s more complexity, as well, as the author builds the world of these alphas and omegas—not shifters. It’s the same world as the story of His First Christmas, another warm and fuzzy feelings book I enjoyed by this author. I needed this story today! It gave me the perfect escape when I decided to focus on something pleasant. The author always grabs me by the feels early in a story and develops characters I can love. I know there are a number of readers who don’t care for mpreg stories but this one was more about the worry a couple faces when it looks like their baby (or babies in this case) may not make it through pregnancy, and the fear faced after the birth when the premie is struggling for survival in the neonatal unit. Eventually the five of them become a family but it sure is an angsty push and pull along the way. 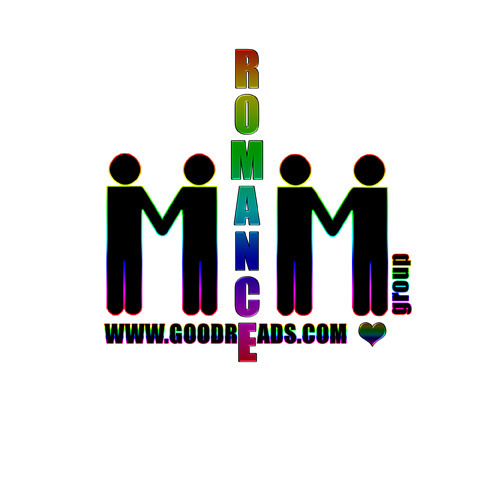 I definitely recommend it to lovers of MM romance with memorable characters. Cover by Jay Aheer features two men about to kiss and in the lower part of the panel, three babies sitting with backs to the camera represent the babies in this story. The cover and blurb sold me on starting this story, and the author made it very satisfying. This entry was posted in 5 star Rating, Book Reviews, Books, LGBTQ Book Reviews, M/M Book Reviews, M/M Romance, Uncategorized and tagged #omegaverse, A Barb the Zany Old Lady Highly Recommended Story, A Barb the Zany Old Lady Review: His First Family by Victoria Sue, alpha/omega/ non shifter universe, His First Family by Victoria Sue, OmegadVerse mpreg. Another great book in this series. I felt for Xan in the first book and to see how he has struggled the last few years made my heart break. Urho finds out about Xan in the worst possible way but what he thinks is a straight forward plan to help quickly becomes more complicated. I loved both Xan and Urho and could easily see their struggles to accept themselves and how their lives would be but how wonderful it was once all the walls were broken down. I also adored Xan’s omega, Caleb, he is so accepting of Xan and Urho; it’s his unconditional support that helped them the most. Their support for each other and family in the end was great and the fact that they were pretty much giving societal standards the finger was nice. Michael Ferraiuolo did another great job narrating this story. I was easily able to connect with the characters feel their emotions as he used different voices for the characters. I have to just say again he does speak quite slowly and with increasing the speed it was made better, which also shortens how long the book takes to listen to, if that deters anyone. Cover art by Dar Albert is great, I love the visual of the characters together and that it follows the same style as Slow Heat. This entry was posted in Audio Books, Book Reviews, Books, LGBTQ Audio Books, LGBTQ Book Reviews, M/M Book Reviews, M/M Fiction, M/M Romance and tagged #omegaverse, Alpha Heat (Heat of Love #2) by Leta Blake and Michael Ferraiuolo (Narrator), An Alisa Audio Review: Alpha Heat (Heat of Love #2) by Leta Blake and Michael Ferraiuolo (Narrator), author Leta Blake, Heat of Love Series by Leta Blake, Michael Ferraiuolo narrator, Omega Alpha nonshifter universe.